New MoT Test – What has changed? 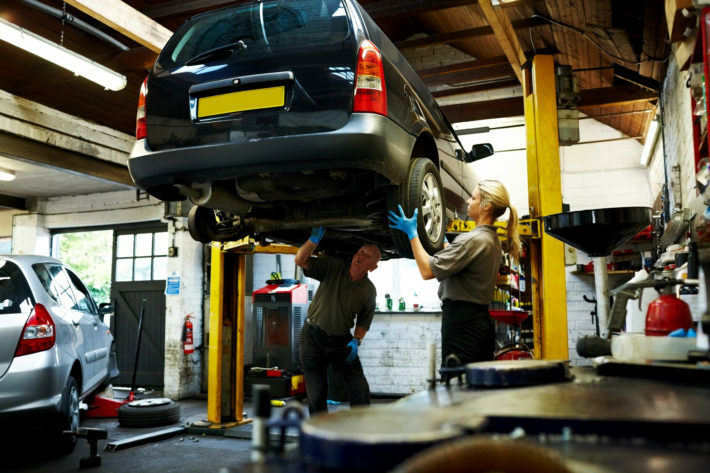 The MoT Test has long been a challenge for the millions of owners of older cars, vehicles over 10 years old being particularly problematic to get through. However, the MoT Test is, and, since 1960, has been, intended to remove unsafe cars from the public roads. The new rules which came into effect yesterday (Sunday 20th May 2018) are apparently much more stringent, yet have, I think, been very poorly advertised. Most of the general public seem completely unaware of the storm about to engulf them. Although changes have, over the last couple of days, featured on news broadcasts, and on news websites, obtaining accurate information regarding how these changes will directly effect us, and what we need to do to avoid issues, has been difficult. The new stricter smoke and emissions tests, which are not something you can check at home, are likely to cause many older diesel cars to be taken off the roads. It will simply be impossible, despite tuning and tweaking, to ever be clean enough to pass the new test. If your Diesel Particulate Filter has been tampered with, you can also run into trouble. Out go the old pass, fail and advisory categories, and along with these the old forms, although the maximum fee (for a car) is unchanged at £54.85. Dangerous – a definite fail as the car is considered unsafe even to be driven away from the test centre. Major – a fail and must be repaired as soon as possible. Minor – a pass but should be monitored and action taken asap. …and there are still advisories as before, and they will be displayed on the printed certificate more prominently. Thousands of failures each year are down to neglect, poor servicing, and not doing some simple checks before driving to the MoT Test Centre. … and check your own car for (obvious) minor faults which may cause a fail. Some things you may not be able to test, but many of the simpler items are easily checked…. worn wipers, blown bulbs and no water in the washer bottle, are all common fails. Sometimes your car might be trying to tell you something! It’s too early to assess how these new regulations will affect the 34 million cars already on our roads, but it is very clear that a message is being sent to owners of older diesel cars that it’s the end of the road and the scrappy beckons. Yet, perhaps contradictorily, for cars over 40 years old no MoT is needed. It is assumed they will be classic cars maintained by careful doting owners! However, it is worth noting that the fines are similar if the car is considered not roadworthy. One thing that hasn’t changed is that you can still be fined up to £1000 for driving a vehicle without a valid MoT Certificate! !